Taryn Cohn, MPT, OCS earned a Bachelor of Science in Arts Administration and Dance in 1996 from Butler University and then received her Masters in Physical Therapy from the University of Indianapolis in 2003. In 2005, she earned her certification in orthopedic manual therapy from the Ola Grimsby Institute. Cohn has practiced in orthopedic clinics in both Indiana and Louisiana for the last 12 years. Prior to her career in physical therapy, she was a certified PhysicalMind Institute Pilates instructor in both mat and equipment techniques. Her interest in Pilates developed while majoring in dance at Butler University. Pilates became an integral part of Cohn’s personal conditioning and injury prevention throughout her professional dance career. Cohn has been recognized by the American Physical Therapy Association as an Orthopedic Clinical Specialist and has received extensive training in trigger point dry needling and the Graston technique of soft tissue mobilization. 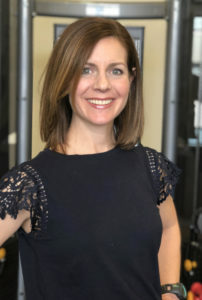 She is a Functional Movement Screen (FMS) and a Selective Functional Movement Assessment (SFMA) specialist and a member of the American Physical Therapy Association. Active in the local running community, Cohn works with the Leukemia and Lymphoma Society’s Team in Training and the New Orleans Track Club. She also enjoys biking and kayaking. Originally from suburban Philadelphia, Cohn has been calling New Orleans home since 2007. She currently resides in the Bayou St. John area with her husband.